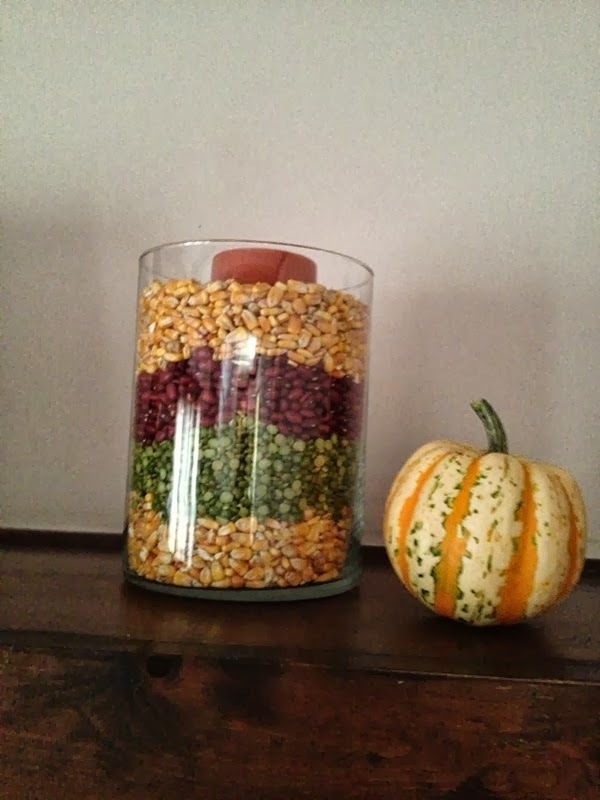 Easy and cheap: Fill vases with colorful bags of beans in layers. 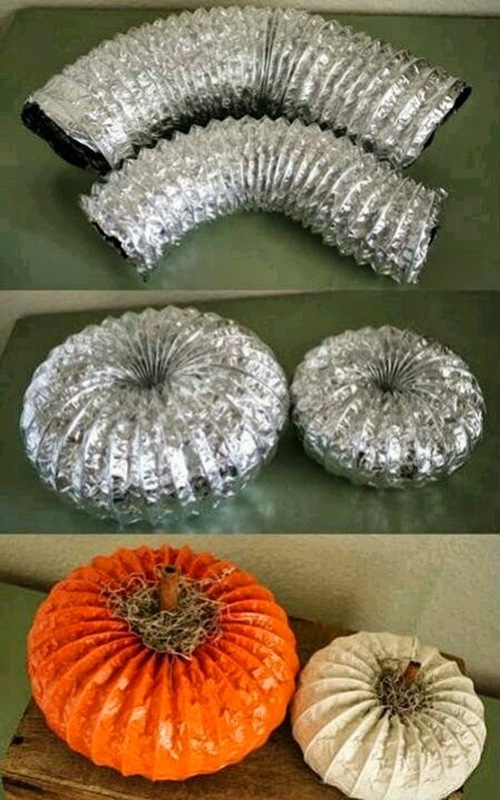 Bonus: you can still use the beans later on, you know, when you're not decorating with them. 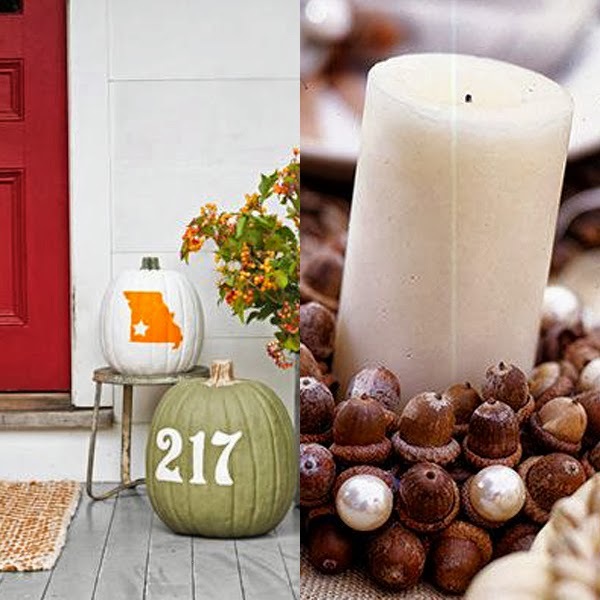 I love the personalization of your house number on a pumpkin, but I've never thought of your state! Also, this acorn candle holder would be so easy with a glue gun and a little acorn foraging. 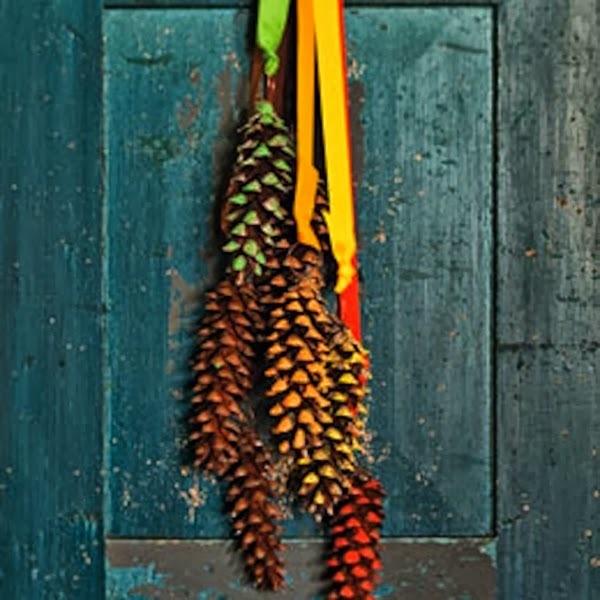 Little bits of paint on some picked up pine cones grouped together is an easy, pretty garland. 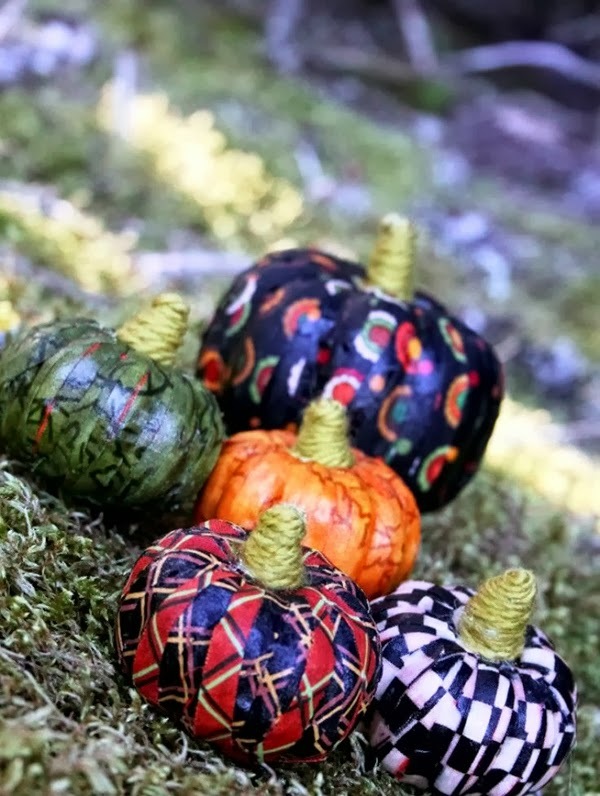 Now this pumpkin is seriously cool. And how easy is that? Is that a cinnamon stick as a topper? Mmm.